As you will be aware, the UN Human Rights Council is currently considering two draft resolutions on the issue of business and human rights, being ‘Human rights and transnational corporations and other business enterprises’ (A/HRC/26/L.1, submitted by Norway, Russian Federation, Ghana and Argentina) and ‘Elaboration of international legally binding instrument on TNCs and other business enterprises with respect to human rights’ (A/HRC/26/L.22, submitted by Ecuador and South Africa). The purpose of this letter is to urge your delegation to support the inclusion of language in relation to human rights defenders in both business and human rights resolutions, or in a single resolution in the event that a highly desirable compromise is reached to combine the two. We consider that both draft resolutions contain positive elements, with A/HRC/26/L.1 recognising the importance of national implementation of the UN Guiding Principles on Business and Human Rights, renewing the mandate of the Working Group, and acknowledging the need to strengthen access to remedy, and A/HRC/26/L.22 implicitly recognising the need to strengthen both the regulation of business, and access to remedy for victims of business-related violations. 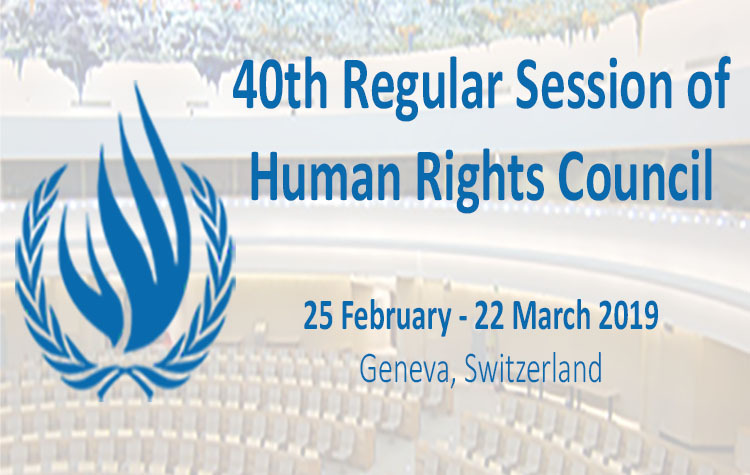 We are deeply disappointed, however, that neither draft resolution contains adequate language regarding the role of human rights defenders in promoting corporate respect for human rights or corporate accountability for human rights violations, nor the worsening threats and risks they face in association with this work. Further, neither draft contains any language on the protection of other vulnerable groups. One trend that stands out in the communications received is related to human rights defenders. Communications have addressed alleged murders of, attacks on and acts of intimidation against human rights defenders who campaign against the adverse impacts of extractive company operations and allegations regarding the impact of mining and hydroelectric projects on indigenous peoples. The Working Group is gravely concerned about a disturbing increase in attacks and acts of intimidation by State and non-State actors against those who protest against the actual and potential adverse impacts of business operations and major development projects. The Working Group goes on to recommend that States should ‘Ensure the protection of human rights defenders who raise awareness of the impacts of business activities … and communicate to business enterprises that they also need to respect the rights of human rights defenders’. It is deeply regrettable that these findings and recommendations are not reflected in either of the draft resolutions on business and human rights, notwithstanding the stated commitment of the sponsors of each to protecting the victims of business-related human rights violations. Further urges States to investigate any alleged threats, attacks, reprisals and acts of intimidation against human rights defenders or civil society actors in connection with their work on business and human rights. At the time of writing, draft resolution A/HRC/26/L.1 did contain a paragraph which recognises the ‘valuable role played by civil society’ in promoting implementation of the Guiding Principles and accountability for business-related human rights abuses and in raising awareness of the human rights impacts and risks of business. This draft resolution does not contain any acknowledgment, however, of the threats and attacks against human right defenders in connection with this work, nor the obligations of States to protect and support defenders in this field and ensure accountability for such attacks. See, in particular, Guiding Principles 18 and 26. See also Report of the Special Rapporteur on the situation of human rights defenders, Margaret Sekaggya, A/HRC/25/55, para 93. See, for example, Report of the Special Rapporteur on the situation of human rights defenders, Margaret Sekaggya, A/HRC/25/55, paras 93-96; Global Witness, ‘Deadly Environment: The Dramatic Rise in Killings of Environmental and Land Defenders’ (2014); FIDH, OMCT, ISHR et al, ‘Land and environmental rights defenders in danger: an overview of recent cases’ (2013). Report of the Working Group on the issue of human rights and transnational corporations and other business enterprises, A/HRC/26/25, para 69 (emphasis added).